Kiefer Sutherland fans and those who like action packed TV dramas might remember the spy thriller called “24” where Jack Bauer only has a day’s time to stop nefarious terror plots. 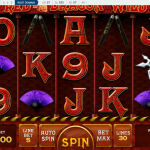 The excitement of “24” combines with slot playing fun in the “24” casino game. Check out this review to find out how the game works and what you might encounter when seeing what it is like to be Jack Bauer for a day. The game’s background proudly displays Jack Bauer holding a gun by his waist but clearly ready to take aim at a moment’s notice, and the dangers of being a counter-terrorism agent are evident in this casino game that features Jack and his weapon along with machine guns and bombs. There are three rows with five columns and an advertised 243 ways to win. Five bet options are available with the low bet being .25 and the high bet listed as 1.25. The auto spin option works exactly as it should and keeps going until no money is left or it is manually stopped. To win, you need three or more of anything from nines through aces or the other symbols like Jack’s face, a gun or the Counter Terrorist Unit logo. 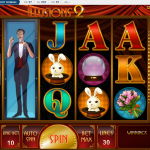 Suspenseful music fills the air and helps create a tense environment where anything could happen, but it is also possible to mute the music and just enjoy trying to hit the jackpot. Sound effects also start up when you spin, and this adds a great touch as it sounds like the same music that plays when the time ticks down in the actual show. Different dramatic tunes also inform you if you win or activate the bonus round. At least three “24” symbols are needed to start the bonus round, and a pop-up appears before the bonus begins. This gives you a chance to get ready because you need to act fast during bonus time. A bomb appears that is attached to several yellow wires and counting down. You have enough time to cut three or more wires and disable the bomb, and the choices you make reveal monetary amounts or multipliers. The bonus probably will not grant you a huge sum of money unless you get a big multiplier, but this still results in a fair amount to keep playing with. 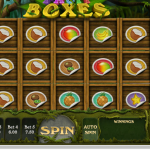 Free spins are where substantial gains could occur, and these spins are only triggered on the third reel. After each one of 10 spins, a regular gun, machine gun or bomb appears and knocks away some of the symbols to leave wilds behind. If you are lucky enough, this is where the most potential rewards lie. Overall, this game is fairly simple and easy to get the hang of. Those who want more details can click the pay table to see how much everything yields, and this area also has more information like rules and shortcuts. More than one wild does not usually appear at a time during regular play, but winning combinations seem to happen fairly often or at least enough to keep a person engaged. If a coherent story involving Jack Bauer exists in this game, it is hard to follow. However, the “24” gimmick will interest many people while the game is engaging and entertaining.